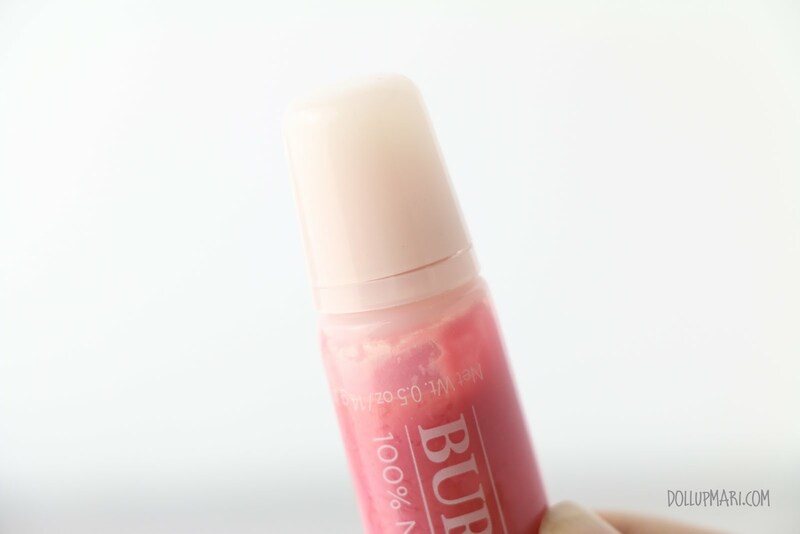 There are a lot of lip gloss options nowadays, but not many lip glosses are 100% natural! I have no idea why, but the moment I got this (as a present), it's already like this. There's this giant blob of gelatinous color with an oil-like substance swimming around it. It seemed like new stocks when I got it, and when I checked Beauty Bar this was still sold and was at regular price. So I think this may have had something to do with how hot it is in the Philippines and how natural this lip gloss is. This is the shade of wink. The color is one of the pinks in the product line. The product line itself boasts having apricot wax for nourhshing the lips and sunflower seed oil for softening the lips. This comes in five other shades, and in general the finish is meant to go on sheer. This shade is the lightest among the six shades, if I'm not mistaken. It also boasts having apricot wax as the source of its scent, hence the fruity scent it came with. For consumer protection, it comes with this screw type lid and it's obvious once it has been tampered with. When I opened the lid, it unfortunately smelled quite rancid already. It smelled like fruit and all, but it just had this rancid scent that I could not deny. It's probably due to the all natural ingredients and the lack of a preservative that it's already spoiling a bit. I went on to use it anyways because I felt that since it's been freshly opened, I could still bear to use it. I just kept in mind that I may have to toss this sooner than usual. 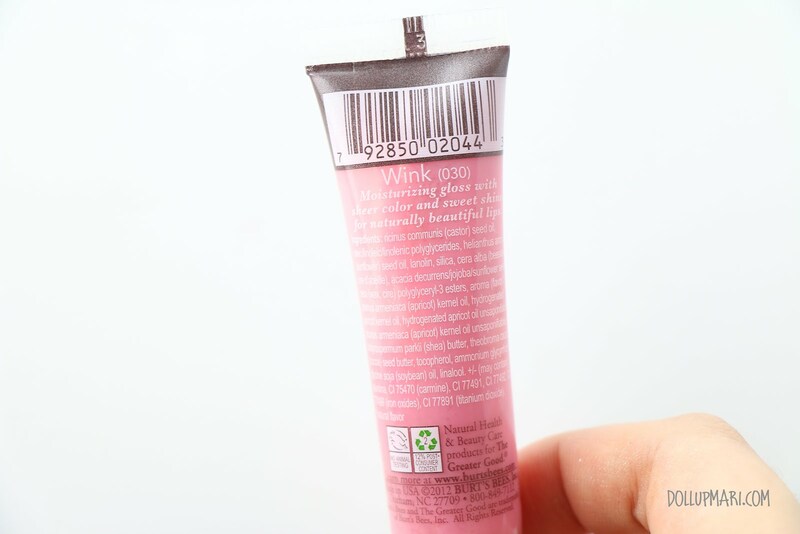 Off the tube, it looks like this opaque strawberry milk color. But on the lips, it's very very sheer, with just a tiny tiny hint of pink. 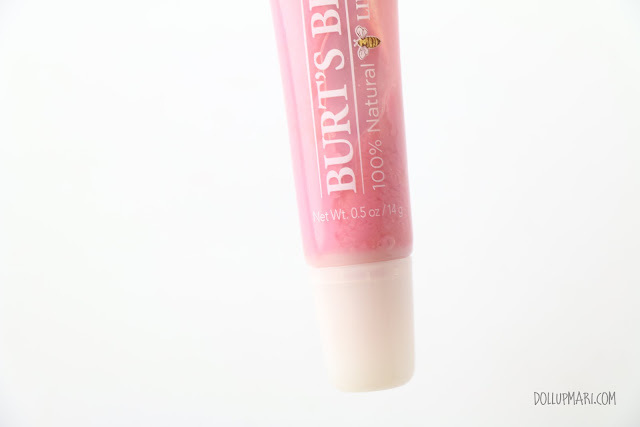 Up close, it does not apply evenly, but think that this is commonplace like many other lip glosses. Overall though, it's got a natural and cute finish. Comfort wise, it felt comfortable, was not too sticky or too runny, and wore comfortably for three hours. It looked less shiny after an hour, but more or less had a significant amount of shine up to about the third or fourth hour. 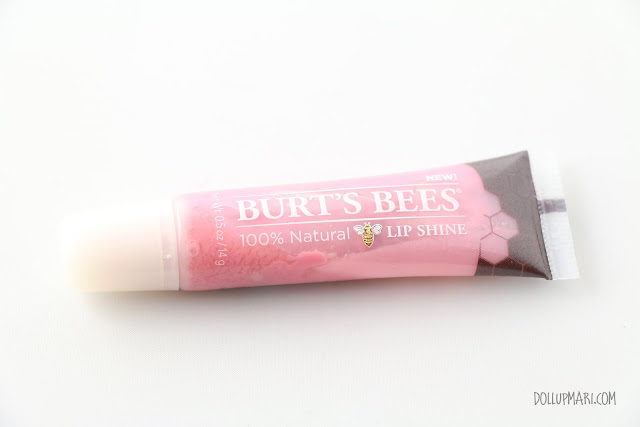 The texture feels nice on the lips, and it also felt nourishing as well. Personally, I think that this product is suited to girls who are starting out with makeup or with very very young girls who shouldn't really wear makeup yet as it's all natural, doesn't look too dramatic on the lips, and just lends this sheer shine to the lips while nourishing it. 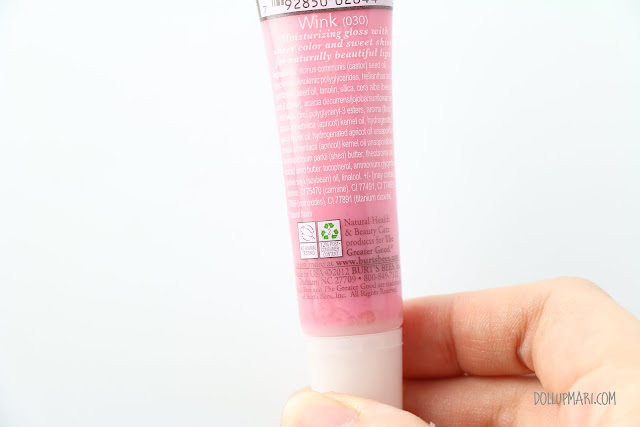 But had this not been given as a present to me, I would not necessarily go out of my way to buy it as it's quite pricey at Php500 given how many other lip gloss options there are in the market with a similar finish and at the fraction of the cost. And given that the moment I opened the tube and it was already rancid, I don't think I could bear to buy a product at this price only to have it smell rancid once I open it. This is also another product that I feel is an okay product, but is just more suited to colder climates because it's less likely to spoil faster in cold climates. And for foreign buying standards, this is an affordable lip gloss, too. What's your go to lip gloss? Please do tell me in the comments box!